5. The Life and Death of Colonel Blimp- Michael Powell's stiff upper lip British drama is highly indicative of his style- garish colors, bolder-than-life characters and a sweeping narrative that covers decades. And make no mistake, that's a huge compliment of his storytelling prowess. But its real pull lies in the way we fall in love once and then re-imagine that love over and over again throughout our lives. Deborah Kerr (pictured left) is the unrequited love token this time, meeting officer Clive Candy (Roger Livesey) early in his life before World War 1 in Munich as they fight propaganda together. She falls in love with his arch rival, Kretschmar, and marries him. Eventually, Kretschmar and Candy become life long friends, but it's the face of Kerr that pops up twice more in Candy's life as he elevates through the ranks of the British army and two more wars. First, Candy meets Kerr as a nurse during World War 2 when he seeks refuge in a convent and then late in life as a young army private becoming his personal driver. 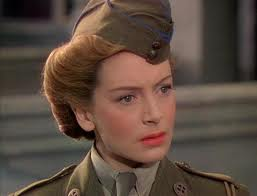 Though Powell does his best to eliminate any real emotional gravity to the relationships (one passing is mentioned only as a newspaper snippet), "The Life and Death and Colonel Blimp" wears its war-torn lost love syndrome squarely on its sleeve. The Wachowski's hugely ambitious, thrilling, and deeply touching epic from a few years ago doesn't nearly get the respect it deserves. A cosmic thriller with re-incarnation philosophies buried beneath its dense story, the basic idea is the lasting impression a soul can have with another across space and time. 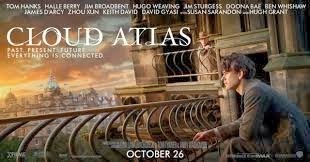 One can laugh at Tom Hanks speaking gibberish in a ravaged medieval time or Halle Berry donning a wide variety of weird costumes, but "Cloud Atlas" had me completely enthralled as the various stories began to tie together and the aching loss both past and future were sewn together with great skill. Probably the most original love story of the last 20 years, Michel Gondry's film is not only a heartbreaking ode to love and loss, but it still feels fresh and invigorating after a decade. I'll just allow the clip below to break your heart. 2. In the Mood For Love/2046- Wong Kar Wai's double feature, besides being the two best looking films on this list, established him as a master of moody, unrequited love. "In the Mood For Love", features neighbors Tony Leung and Maggie Cheung falling in love after their own spouses cheat on them. It's all mood, seduction, slow motion gazes and crisply tuned clothes as the relationship grows. "2046", a sequel of sorts, also features Tony Leung, this time a writer falling in love with Zhang Yiyi. 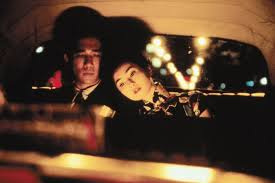 Wong Kar Wai teases, tantalizes and eventually settles into his vision of a broken world never kind to his couples. Anyone who has ever harbored a deep attraction to someone, gotten so close, and then see it vanish will be shaken by both films and the representation of love gained and lost. Don't we all wish there were a place we could whisper our secrets? 1. Lovers of the Arctic Circle- Longtime followers of this blog will certainly recognize this title, released to little acclaim in 1999 from filmmaker Julio Medem, but one that I hold in high esteem. As to the film itself, its plot concerns Otto (Fele Martinez) and Anna (Najwa Nimri) as star-crossed lovers who meet as children, fall in love as teenagers, and desperately attempt to reconnect as adults. 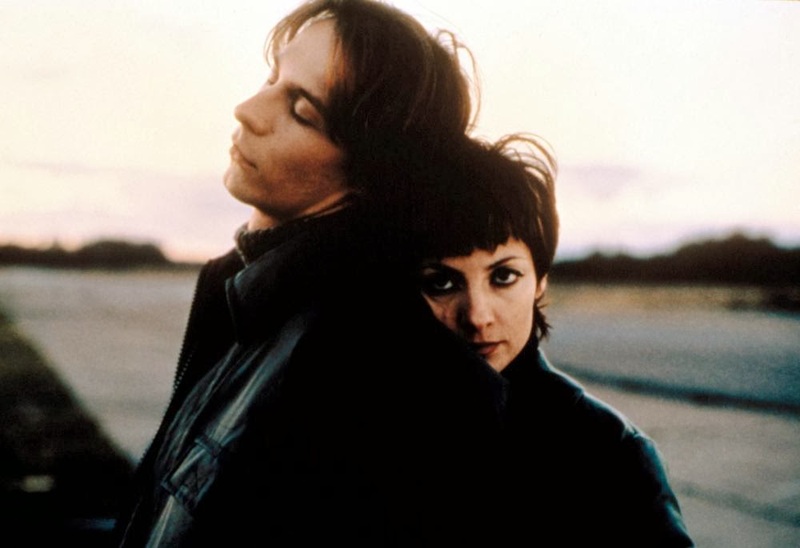 Like all of Medem's films, "Lovers of the Arctic Circle" plays heavily with chance and fate and it features a fractured narrative that utilizes visual cues as time progresses (cows in "Vacas", a motorcycle in "The Red Squirrel" amd Anna's deep brown eyes in "Lovers"). The relationship that exists between Anna and Otto is not a precocious one, but earns its depth through the playful interaction between Medem's lead actors. By placing them as half brother and sister when Otto's mother marries Anna's father, Medem flirts with something taboo or perverted, yet he plays everything as just the opposite- sweet and endearing. And when the film reaches its bittersweet denouement, it certainly earns its romantic stripes. Medem has built up an incredible well of empathy around his palindromed characters, and the ending is a near-perfect example of heartbreak rendered as magical release. I do have a heart, so I wouldn't dare betray the genuine surprise and sadness that ends Medem's "Lovers of the Arctic Circle". Part of the reason I fell in love with this film is the way it blindsided me, and having a film do that is one of the great pleasures and the reason we watch over and over, hoping for something transcendental. "Lovers of the Arctic Circle" is definitely that.